During the last half of 2017, LinkedIP finished the deployment of a large Computer Telephony Integration (CTI) for ENEL in Bogota, Colombia. ENEL is a multinational manufacturer and distributor of electricity and gas. In South America, ENEL has operations in Argentina, Brazil, Chile, Colombia, and Peru. 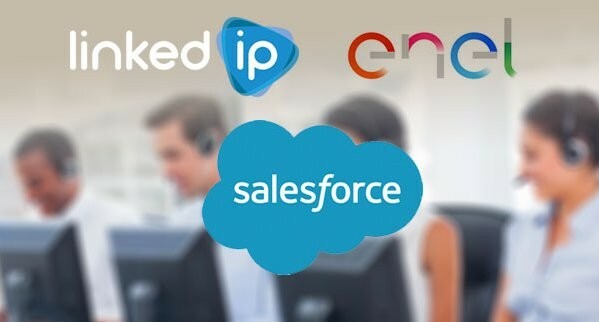 In order to provide an effective customer care and sales experience, ENEL uses a team of about 300 call center operators and Salesforce as CRM backend. However, challenges arise when an agent has to invest time to look up sensitive information for a particular customer. In this sense, industry trends show that, without a CTI to CRM integration, an agent may take above 40 seconds in average to retrieve the necessary information to successfully identify a customer and its journey and thus provide the required assistance. With that objective in mind, ENEL approached LinkedIP to design and deploy a customized Salesforce-CTI solution. One of the biggest challenges for the project was precisely the need for a solution that won’t require the modification of the current service architecture and this goal was actually met. Miguel Licero, President of LinkedIP, said that “…we were able to create a strategic solution that seamlessly connected with Salesforce and their phone system with no invasion.“. He added “…there was some concern at the beginning when they asked us about the way we would interconnect all of the key components of the customer service ecosystem. We explained that our smart architecture allows us to connect to any CRM and to any phone system or call center platform without interfering or touching their core platforms.”. The job was done and then they tested in sandbox environments before making it available in production environments. The result of the implementation is a pop-up window that is shown to the operator agent with critical and pertinent customer data. This data is presented even before an agent accepts a call so it’s more context ready. As expected, a positive impact was seen right from the start of the usage of the solution.